Apple is said to be planning a media event for the first week in March where the company plans to debut their next generation tablet, tentatively known as the iPad 3. The event will be held in San Francisco, likely at the Yerba Buena Center for the Arts, a location that Apple has utilized for previous announcements, according to sources close to the situation as reported by All Things D.
The sources didn’t provide a street date but if Apple follows previous product announcement protocol, we could expect to see the new iPad in stores sometime in mid-March. 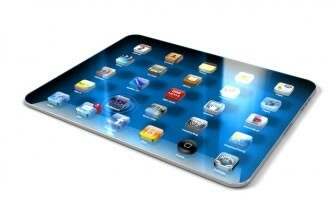 Hardware-wise, the iPad 3 is said to be pretty much what rumors have pointed to thus far. It will likely look and feel very similar to the iPad 2 but with a faster processor, improved graphics and an ultra high resolution display running at 2048 x 1536. How fast the the A6 processor in the new iPad will be, however, remains a topic of debate. Most have speculated that the A6 will be a quad-core component which would be significantly faster than the A5’s dual-core offering, but a report yesterday from Joshua Topolsky at The Verge claims his sources now indicate that the A6 SoC will be a dual-core chip. Other rumors have suggested a slightly thicker tablet to make room for a larger battery and 4G LTE capability, but we have our doubts on this one. Is it really Apple’s style to make a thicker (and perhaps less attractive) product? On a side note, Apple shares have jumped over $16 from yesterday’s closing price based on the news.